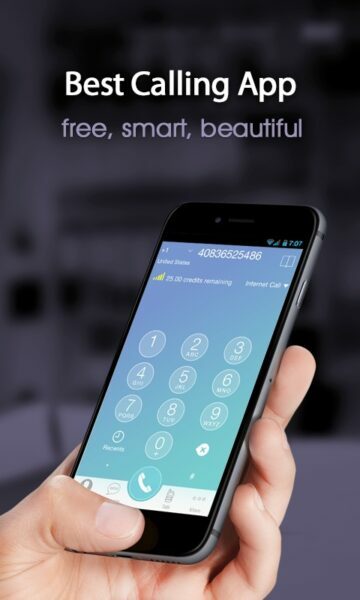 TalkU is a mobile application for iPhone and Android that allows you to make free unlimited free phone calls. But what makes this app stand out is that it assigns you a real phone US number, allowing you to receive calls and texts from anyone. TalkU can also turn your phone into a real Walkie Talkie with sound quality better than the quality of a regular phone call. 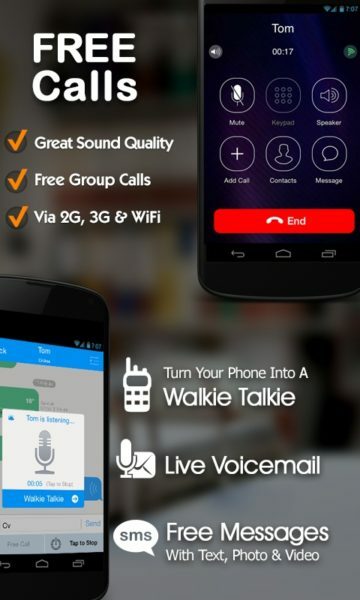 As with WhatsApp, TalkU also uses 3G or 4G Data but can also use Wi-Fi to make and receive calls via high-quality VoIP, which uses a wideband voice encoding technology. But it is in making International calls to Landlines and Mobiles that makes TalkU stand out. TalkU credit is a virtual currency generated within the TalkU app. It can be used to make cheap calls or send cheap texts anywhere in the world. 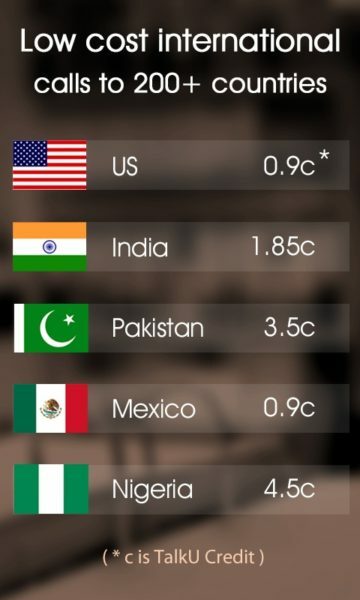 This is possible via earning TalkU Credits. The amount of TalkU Credit varies depending on the activity you do to earn the credit. 1-3 TalkU credits earned by watching a commercial video. 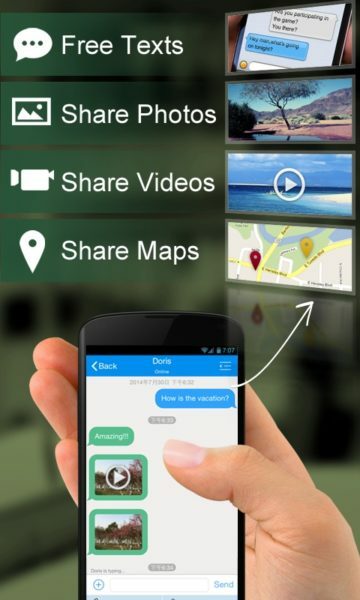 2-3 TalkU credits earned by sharing TalkU with your Facebook friends or posting on Twitter. 1-10 TalkU credits earned by checking in on your TalkU app at least once a day. 20 TalkU credits earned for inviting a friend to join TalkU. The more friends who join, the more credits you earn. 25 TalkU credits earned just by joining TalkU. Hundreds of TalkU credits earned by completing sponsored offers from our sponsors. Also note for Apple devices, TalkU will only accept payment through iTunes, whereas for Android devices, they accept PayPal and Credit Cards! Please note that you can use your Scotia VISA Debit or CIBC VISA Debit Card to purchase items in much the same way you can purchase items online as I’d explained in How to ship things to Jamaica after you’re purchase them online. TalkU supports group conference calls with up to 8 participants with the TalkU app. You simply create a group to make Group calling setup as easy as clicking a button and inviting all Group members into a conference call. TalkU Walkie Talkie gives you the option to push a button to talk, allowing your friend with the TalkU app to instantly hear you, which is a lot like how an actual walkie talkie works. Your friend then can reply by pushing the same button on their TalkU app. Best of all, this feature works even when the app is closed and your phone is locked. Group chat is supported for up to 100 users. Unlike PTT (Push to talk) offered by most telecom providers, TalkU turns your smartphone into a PTT-enabled-device that can be used with any telecom provider completely free of charge once you have Wi-Fi or a Data Plan. But it’s calling International Landlines and Mobiles in the USA, Canada and UK that makes TalkU stand out. TalkU assigns you a real U.S. phone number which allows you to send and receive texts from anyone whether they use TalkU or not. This is very similar to MagicJack or the app version MagicApp, albeit unlimited messages completely free of charge is really only possible within the TalkU app. 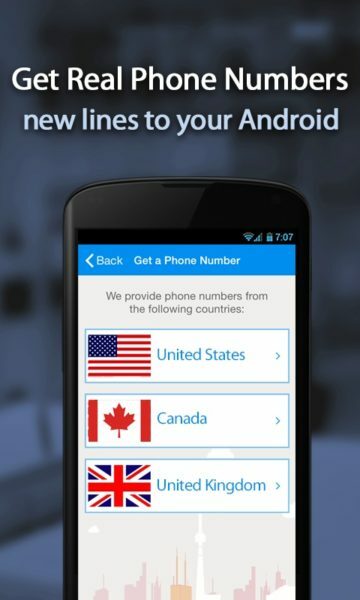 Download the TalkU and start making those free International Landlines and Mobiles Calls. Remember sharing is caring so share this with as many of your friends as you can!!! !